From high-tech LED lighting on the Mercedes-Benz Superdome’s exterior and neon signs that blaze 24/7 on Bourbon Street to the tiny yellow flames of a gas lantern and the lurid pinks and purples of a sunset, New Orleans is a city characterized by its unique, beautiful light. From December 7 through December 10, light displays take center stage during LUNA (Light Up Nola Arts) Fête, a celebration of light created by the Arts Council New Orleans. Here’s a little bit about the initiative—and what to expect while you’re there. LUNA Fête is a three-day celebration featuring public art by local and international artists, who use light and technology as their mediums. From 6 p.m. to 10 p.m. each night of the event, Lafayette Square (which is right next door to the Lafayette Hotel) serves as a site for the high-tech, illuminated installations. Launched in 2014, LUNA Fête attracted more than 50,000 visitors to New Orleans’ downtown area in 2016. How much does LUNA Fête cost? It’s free to attend the light art festival. Is LUNA Fête appropriate for people of all ages? Yes, it is a family-friendly festival. What kind of light art installations will be included? Illuminated installations, digital sculptures, video-mapping projections and art animated by technology can be viewed during the event. These large-scale installations are truly breathtaking! Who are some of the artists creating installations? Some hail from abroad and others are from New Orleans. Maison Production, a French studio, is the lead artist. 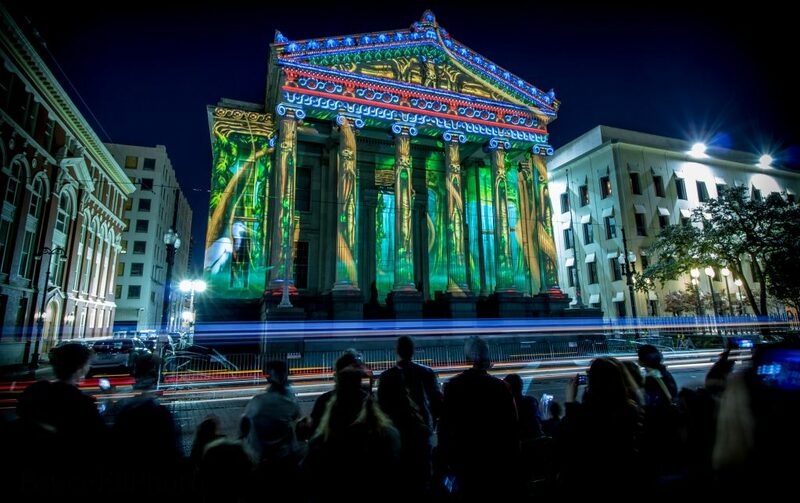 Their video mapping team will project a unique work onto Gallier Hall, a Greek Revival building constructed in 1845 and the former site of City Hall. The juxtaposition of modern technology and historic architecture is quite a spectacle. For optimum viewing, sit in Lafayette Square. These are just a few of the site-specific works you’ll find at LUNA Fête 2017. More works are underway now. Additional installations will be announced in the near future. What’s different about this year’s LUNA Fête? In addition to all new installations, this year’s festival functions as an official New Orleans Tricentennial signature event—meaning that it is part of the city’s 300th birthday celebration. I would like to learn more about the artists. Are there any panel discussions? Yes. Newcomb Art Museum hosts a talk by Pedro Narvaez and Emma Lopez of AVA, a Mexican animation studio that has created projection mapping projects throughout the world. The talk takes place from 5:30-6:30 p.m. Dec. 5 at the Woldenberg Art Center on Tulane University’s campus. Yes. Vendors will set up stands throughout the campus. 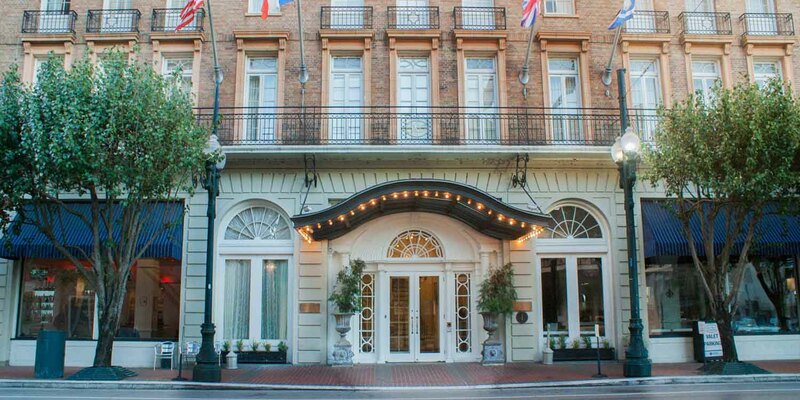 How close it the Lafayette Hotel to LUNA Fête? 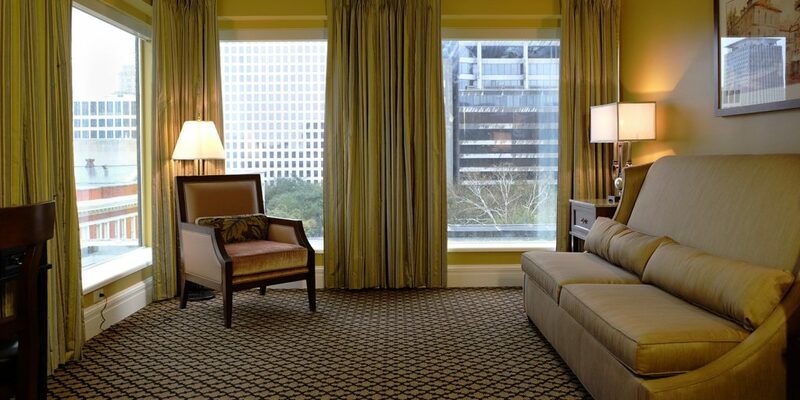 Lafayette Hotel is a stone’s throw from the festivities (you might be able to see some installations from your window). It’s right next to Lafayette Square, meaning that going to the LUNA Fête is as simple as stepping outside the hotel door. « Previous: The Saints Come Marching Into New Orleans!